Although 20 mushers is the cap for the Kobuk 440, it doesn’t seem like the race will get a full list of teams this year. Jeff King is the latest musher to take his name off the official roster. 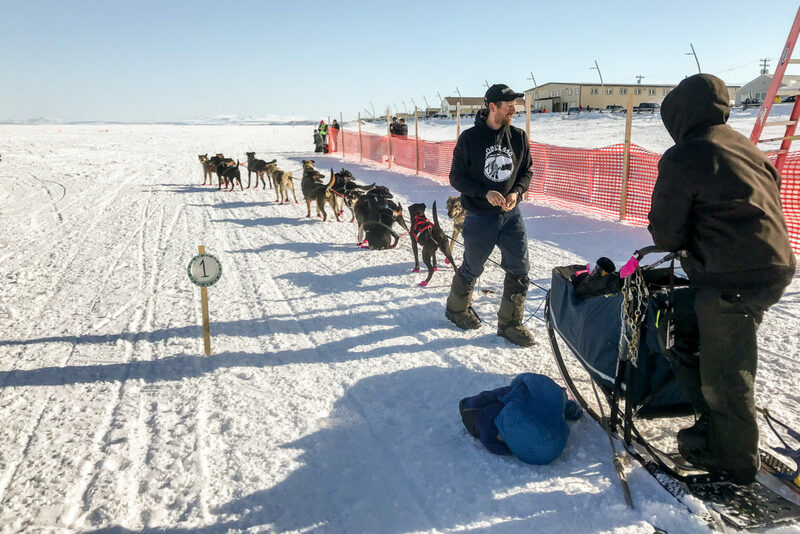 Currently, the field is comprised of nine rookies, including Quince Mountain, the husband of 2019 Iditarod finisher Blair Braverman, as well as former Kobuk winners. That is Hannah Atkinson, the president of the Kobuk 440 racing association. According to her, the trail conditions are changing from day to day. Although the route from Kotzebue to Kobuk and back is all passable, Atkinson says it might be a rough journey for this year’s teams. The winning team of the 2019 Kobuk 440 will take home a portion of $55,000, which is slightly less than the total race purse from years past. Another slight change for this year’s Kobuk is the starting date. The sled dog race will coincide with the annual Archie Ferguson / Willie Goodwin Sr. Memorial snowmachine race this weekend, as the 16 mushers depart Kotzebue tomorrow at 12:30pm and aren’t expected back across the finish line until Sunday. KNOM’s Emily Hofstaedter contributed to this report. Image at top: file photo: Musher Jessie Holmes at the start line of the 2018 Kobuk 440 in Kotzebue. Photo: Zoe Grueskin, KNOM.